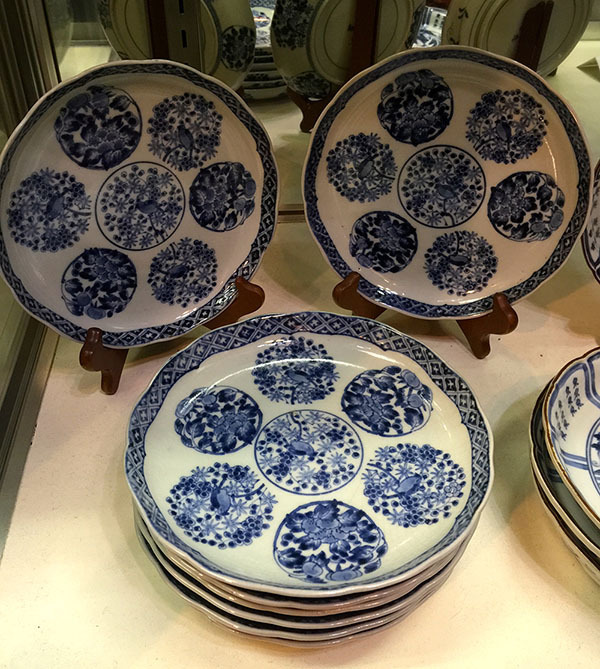 Antique Set Japanese “Old Imari” Plates 19th C.
Set of 8 early Japanese Blue & White “old Imari” plates. 7 3/4″ diameter each. Circa ealy-mid 19th C. with pseudo blue underglaze Chinese Ming marks.